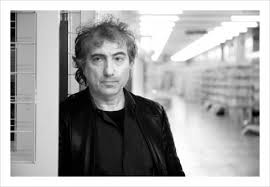 Adam Phillips is a freelance psychoanalyst and wrier. After studying English at the University of Oxford, he trained as a child psychotherapist and became Principal Child Psychotherapist at Charing Cross Hospital in London. He is the author of nineteen books, including: Winnicott (1988), On Kissing, Tickling, and Being Bored (1993), Monogamy (1996), Houdini’s Box (2001), Missing Out (2012), One Way and Another (2013). A regular contributor to the London Review of Books, Raritan, and The Threepenny Review, Phillips is also the general editor of new translations of Freud’s work published by the Penguin Press. Dr Monica Pearl is Lecturer in Twentieth Century American Literature at the University of Manchester. She is the author of AIDS Literature and Gay Identity: The Literature of Loss (Routledge, 2013) and essays on the graphic memoir Fun Home, the play Angels in America, the writing of W.G. Sebald, and opera. Professor Ian Parker is Professor of Management in the School of Management at the University of Leicester, Co-Director of the Discourse Unit (www.discourseunit.com), secretary of Manchester Psychoanalytic Matrix and a practising psychoanalyst in Manchester. He is also Honorary Professor of Education at the University of Manchester. His recent books include Lacanian Psychoanalysis: Revolutions in Subjectivity (Routledge, 2011), and six books in the series ‘Psychology after Critique’ (Routledge, 2015). Followed by wine reception at Cafe Muse. This entry was posted on Wednesday, January 14th, 2015 at 12:02 pmand is filed under . You can follow any responses to this entry through the RSS 2.0 feed. Both comments and pings are currently closed.